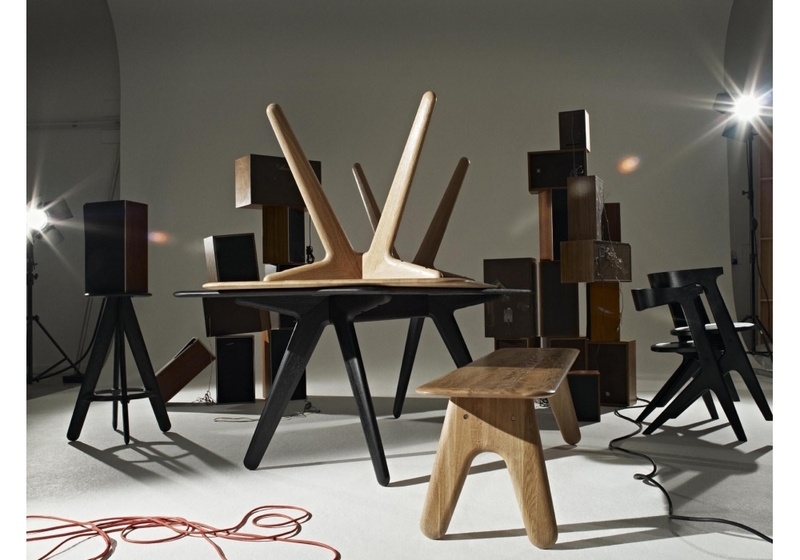 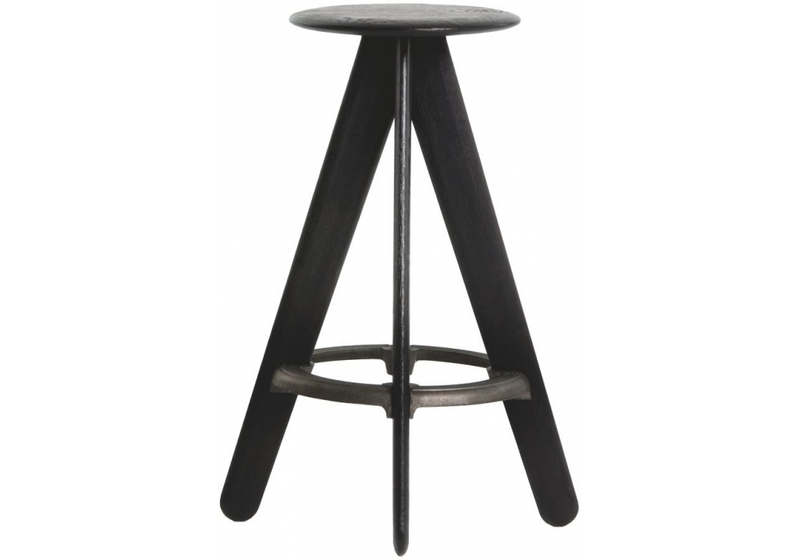 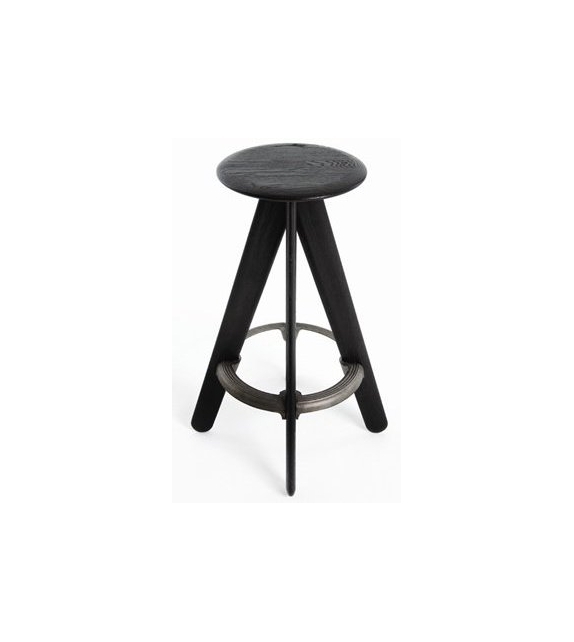 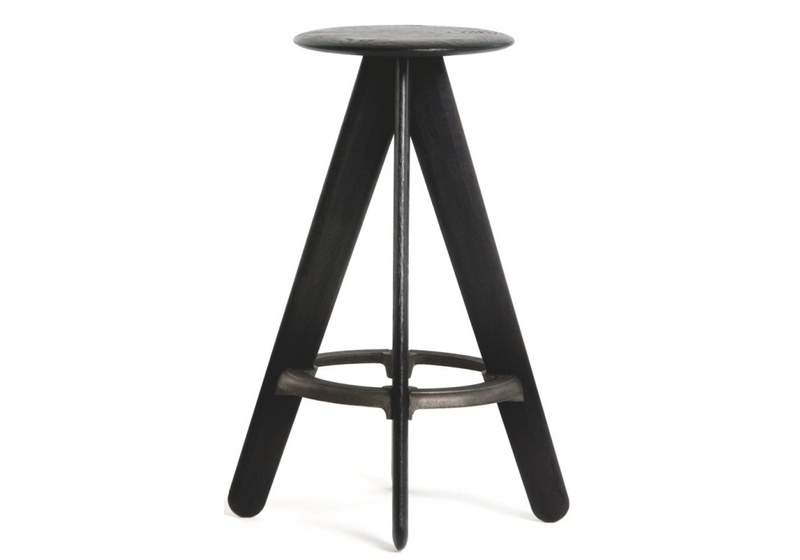 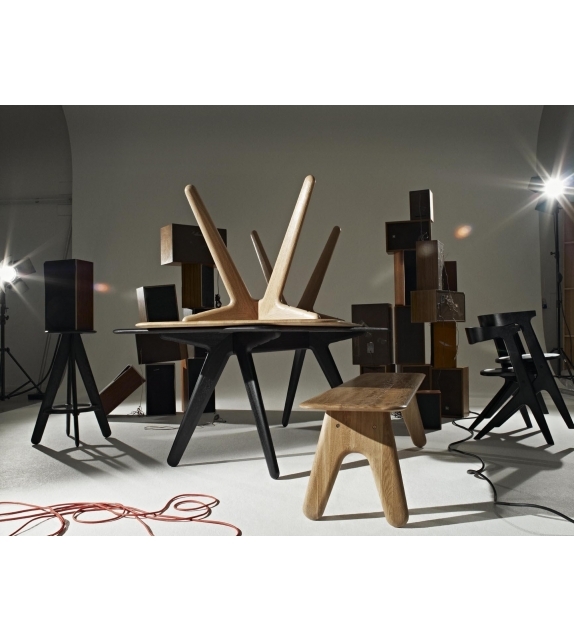 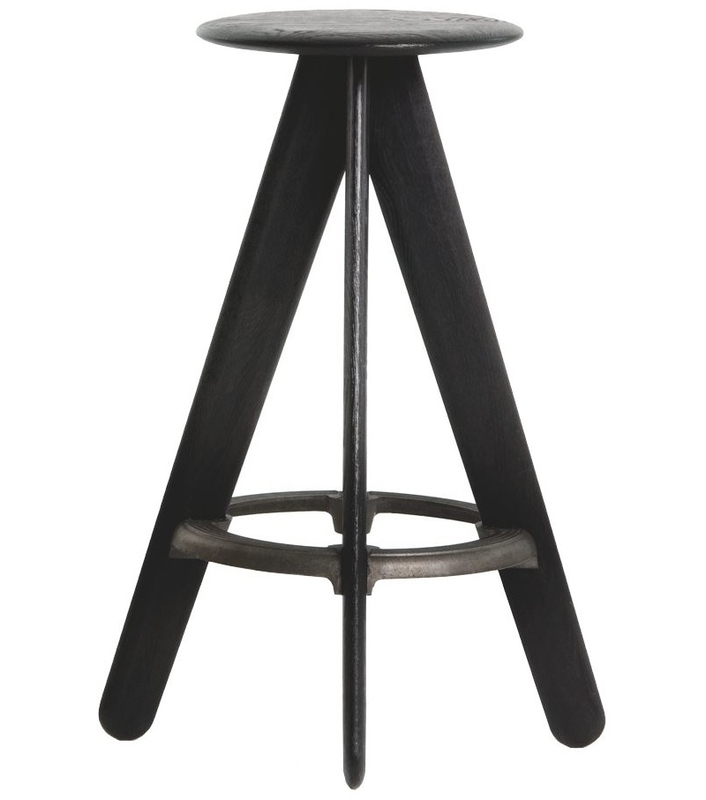 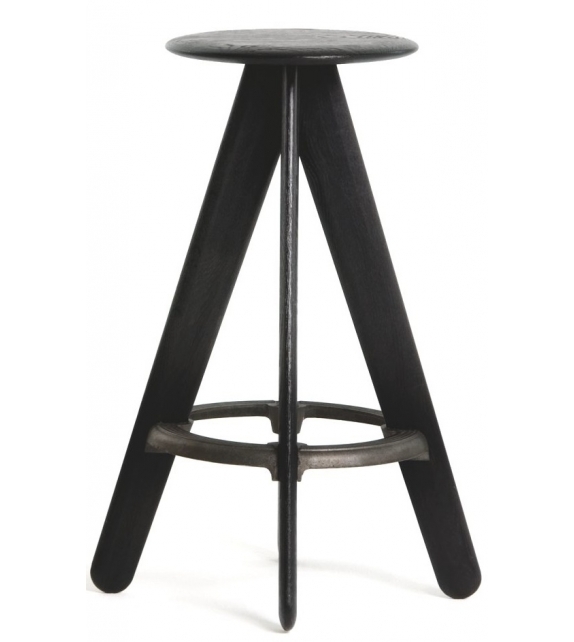 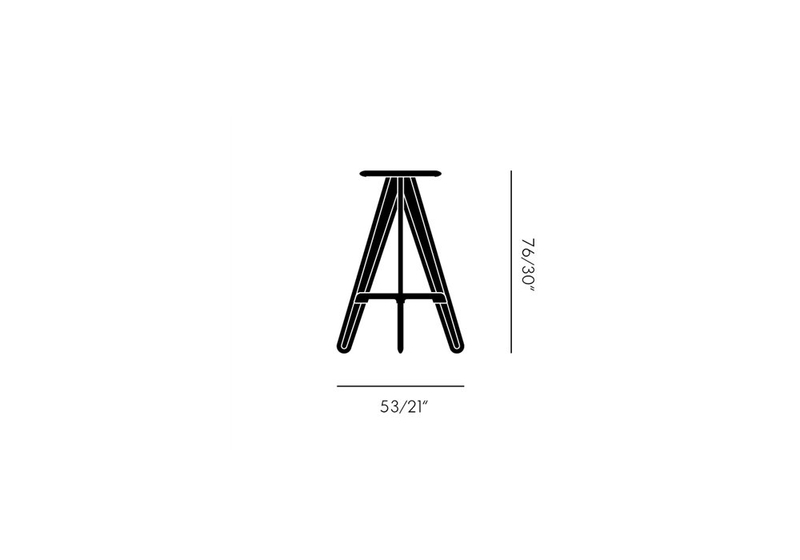 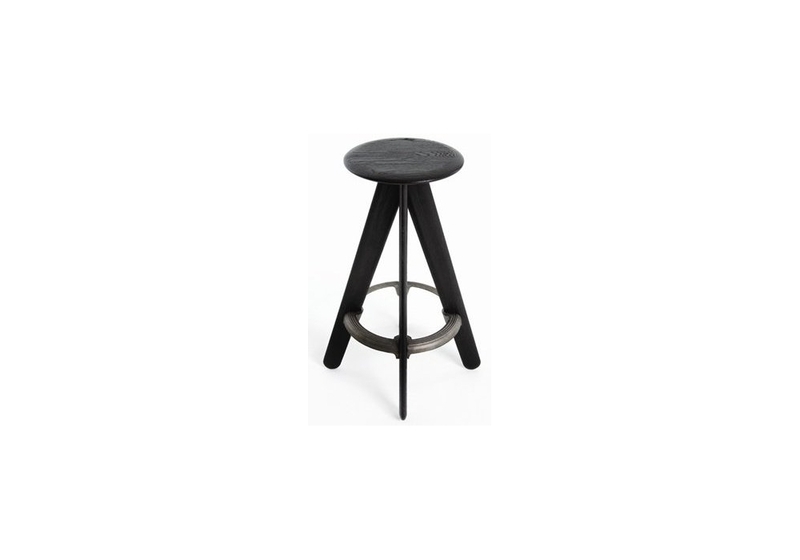 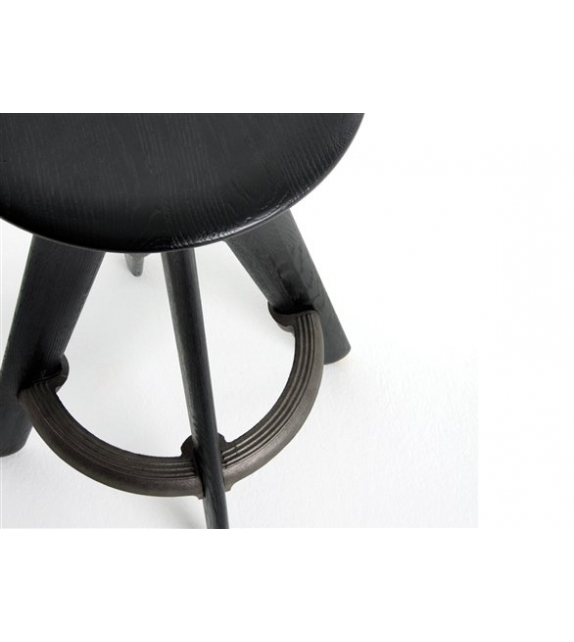 Slab design by Tom Dixon is a bar stool. 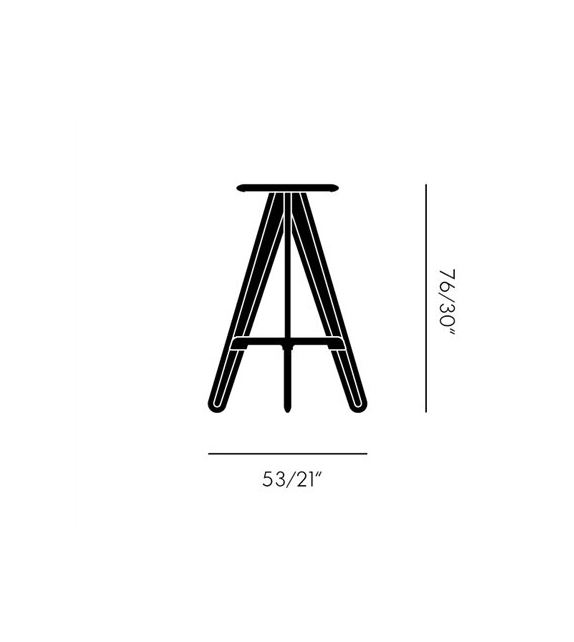 A new addition to the Slab family. 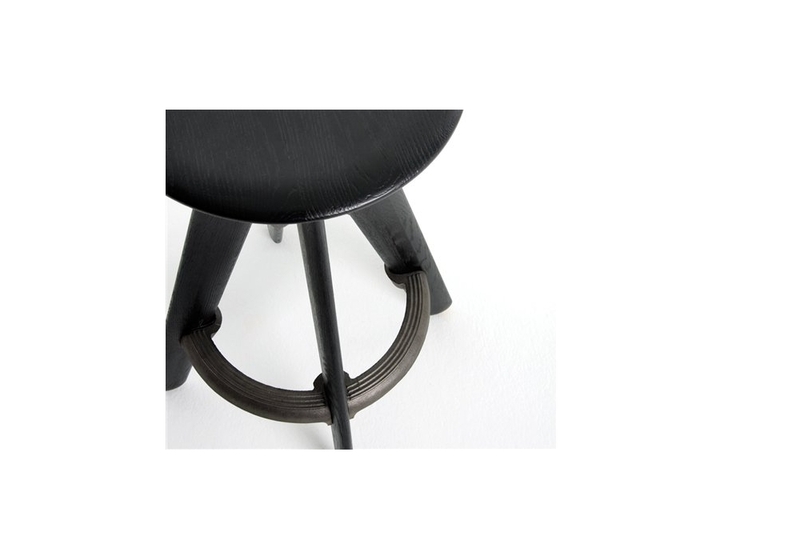 The exposed cast iron foot rest reinforces and adds strength to the structure of the chair, creating a durable and hard wearing design. 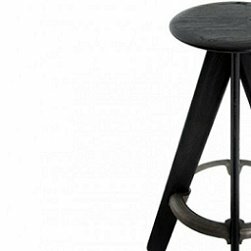 Made from solid oak in a black or natural lacquer with a deeply brushed surface, the Slab collection consists of a bar stool, chair and dining table.